4k00:28Hong Kong - October 16 2018 : Beautiful view of Hong Kong downtown business district during Symphony of Light, laser show. Illuminations on buildings. 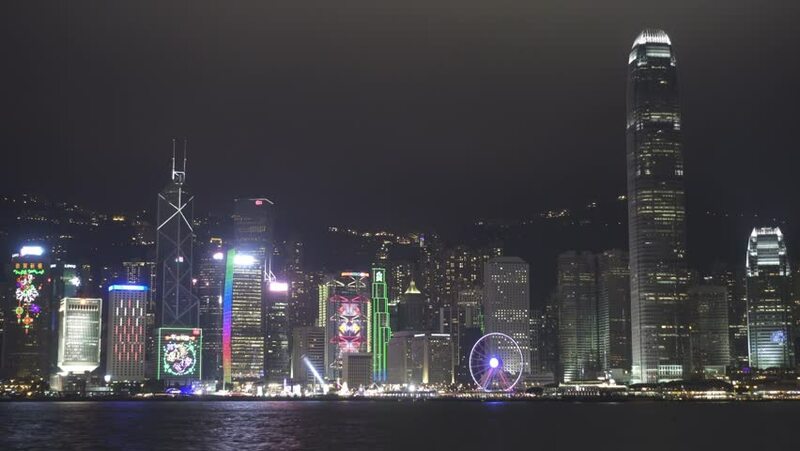 4k00:30Hong Kong - October 16 2018 : Evening view of Hong Kong bay during Symphony of Light, laser show. Illuminations on buildings. 4k00:16HONG KONG, CHINA - APRIL 24, 2017: Skyscrapers Building Light Show Decoration at Night in Hong Kong, China.